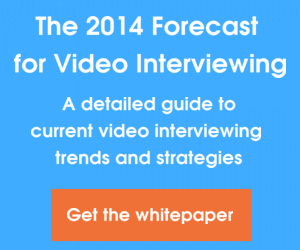 Has your company started implementing video interviews yet? If not, it seems as though you are part of the minority. In a recent survey put out by OfficeTeam, it was discovered that 63 percent of human resource managers use or have used video interviewing recently in the hiring process. That’s a pretty steep percentage if you think about it. Moreover, 13 percent of hiring managers plan on using it even more in the future. With the job market in its current state, the hiring process has become grueling and ever so complicated. It was always a long process, but it’s become increasingly difficult for hiring managers and job seekers alike. With the amount of Americans searching for a job today, each open position will bring an influx of resumes, cover letters and applications. We’ve said it many times before: it takes 45 days on average to hire a new employee. That’s a long time, so anything you can do to cut that time down in any way is seen as beneficial. Perhaps that’s why video interviewing has become so popular in just the last year. As you know, you can conduct 10 one way video interviews in the same amount of time it takes to conduct one phone interview (30 minutes). Efficiency is the name of the game and anything that can streamline the hiring process is welcomed. When asked in the survey how often they use video interviewing, 53 percent of hiring managers responded with “very often”. That’s up 52 percent from last year. It’s not surprising to see these statistics seeing as though video interviewing simplifies the process and makes it easier on both the job seeker and the hiring manager. When hiring managers use one way video interviews to screen their candidates in place of phone interviews, they are saving themselves time and money. Instead of holding a conversation on the phone for upwards of 30 minutes, hiring managers can now ask their candidates a series of important questions and have them answer them in video form. That way they can get a feel for the candidate’s communication skills and personality while also getting all of the important questions answered. Screening candidates this way is much more rich than a drawn-out phone conversation. Furthermore, when you can conduct live interviews the pool of talent you have now becomes much deeper. There may be an interested and qualified candidate across the country that you would have otherwise ruled out. Now, you can interview with them online and if the relationship seems promising then you or the candidate can invest the time and money to meet in person. Much more simple, isn’t it? The statistics don’t lie. 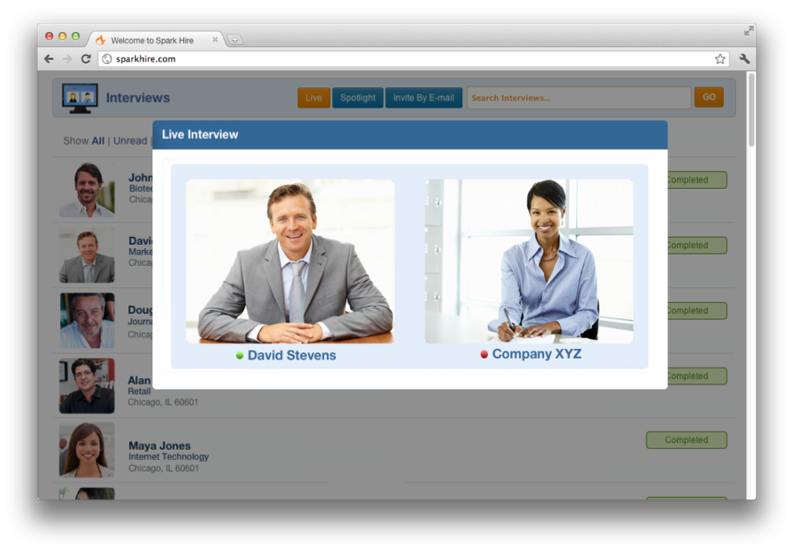 Hiring managers are starting to get hip to how beneficial this video interviewing technology is. If you haven’t already, then perhaps it’s time you discovered it for yourself. If 6 out of 10 hiring managers utilize video interviewing in their hiring process, why not try it?